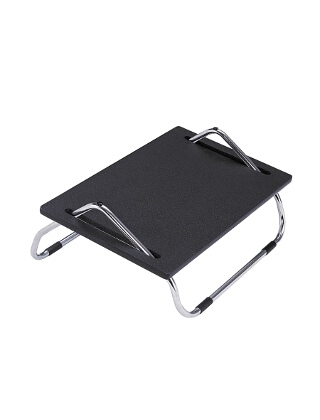 This easy-glide design allows repositioning of legs and feet while the footrest is in use. Full 8"H provides elevation for feet, improves circulation and allows shoulders to relax backwards. Black with Chrome stand. Packed 4 per carton.